The Power to Translate is Now Inside HubSpot! 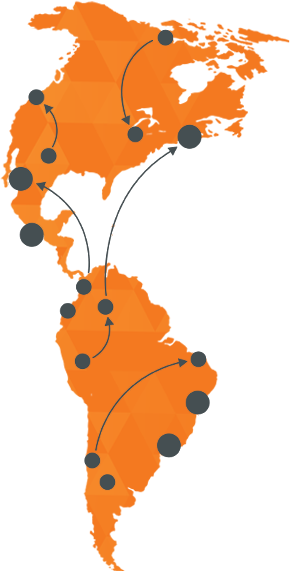 Make your HubSpot marketing automation truly multilingual. Lingotek's cloud-based translation and localization platform gives you the power to build consistent, up-to-date, multilingual emails, blog posts, website pages, and forms. HubSpot is a marketing software platform that helps marketers create and distribute their materials, including emails, blog posts, website pages, and forms. Use the Lingotek - Inside HubSpot connector to request professional translations for HubSpot marketing materials: emails, blog posts, website pages, and forms. Access translation tools from any page! Request, preview, and publish translations with a Google Chrome extension. Easily request translations for single items, individually selected items, or every item on a page. Request translations for a single target language or every enabled target language. At a glance, gauge translation status for each item in each target language. Quickly check status or request translations for a specific item with an intuitive search feature. Less training. Now your staff won’t have to learn another system. Manage all of your translations inside HubSpot. Less back and forth. Rather than logging into two separate applications, you can manage everything from one window and one system. Keep your train of thought, and don’t worry about digging around for the content in your translation management platform. Easy previewing. From any page, access the Lingotek translation app. Request translations, preview content and more. Rest assured. Don’t worry about untranslated content! HubSpot pulls translations for personalization tokens into the right spot in all of your multilingual content. Request translations for specific target languages in just a few clicks. Publish all completed translations in just a few clicks. No digging. Find a specific document to request translation. Search by title. Eliminate scrolling or memorizing file structures to find an item. Easily check status. With a simple query, see which documents have been translated, and which need more work. Don’t spend hours reformatting translated items. You don’t have to be a HubSpot expert to translate a page. Headings, images, tables, stay intact. We rebuild every translated item behind the scenes. All of your formatting is retained! Automate your processes with Lingotek workflows. Set up automatic assignments, notifications, hand-offs and more with Lingotek’s translation workflow.